Good news: The new product –scintillation sampling bottle was developed successfully! 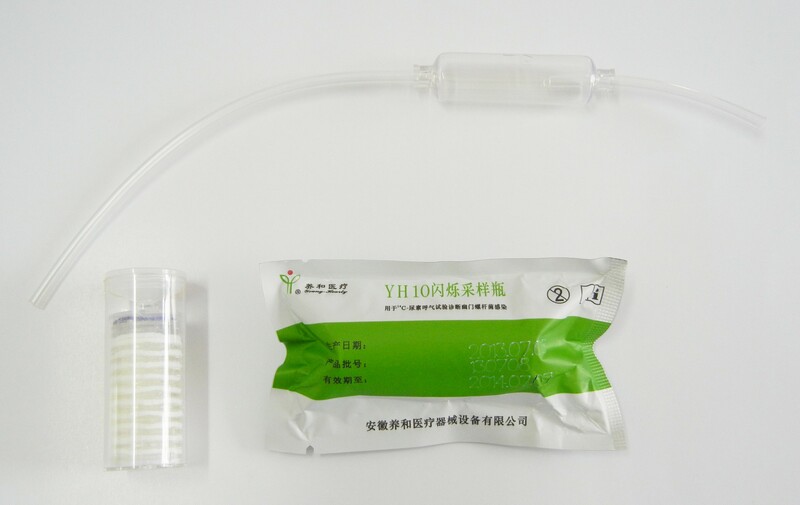 On June 24, 2015, YH10 scintillation sampling bottle developed by Anhui Young-Hearty Medical Appliance & Equipment Co.,Ltd. has obtained the product registration certificate issued by Anhui Food and Drug Administration. The product consists of a bottle and a blown air tube. It is mainly suitable for use with 14C scintillation counting instruments to detect Helicobacter pylori infection by 14C-urea breath test. 上一篇：Our company reaffirms through the high-tech enterprises organized by the State Ministry of science and technology.